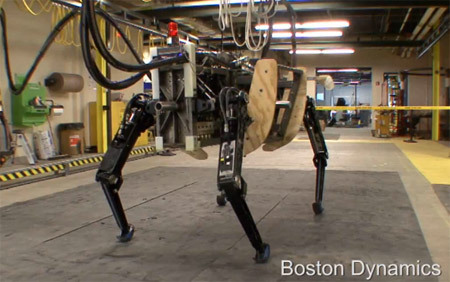 Boston Dynamics is an engineering and robotics design company that produces advanced technology for the U.S. military with funding from the Defense Advanced Research Projects Agency (DARPA) and DI-GUY, software for realistic human simulation. 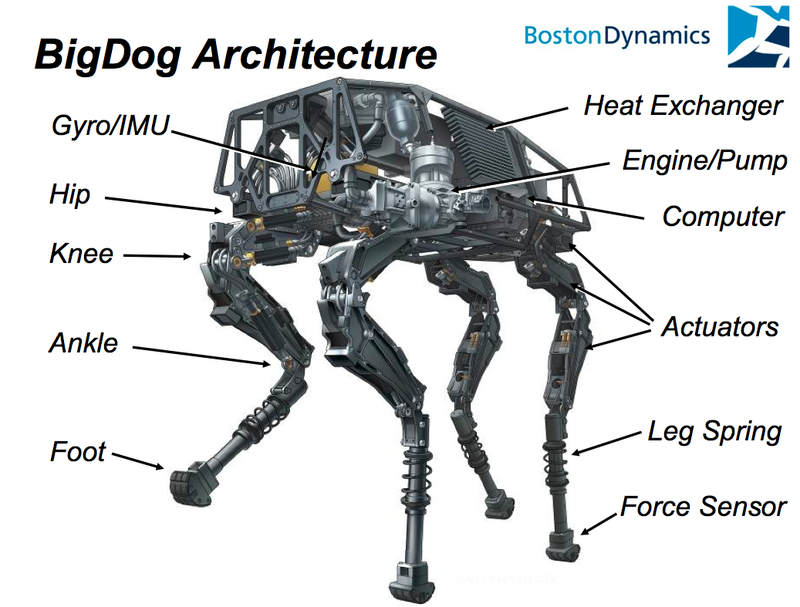 In 2009, engineers at Boston Dynamics developed one of their most unique robots to date: BigDog. Heralded as the most advanced rough-terrain robot on Earth, BigDog can walk, run, climb, and carry extremely heavy loads. BigDog has four legs that are articulated like an animal’s, with compliant elements to absorb shock and recycle energy with each step. Its control system keeps it balanced, managing locomotion on a wide variety of terrains. It runs at 5 mph, climbs slopes up to 35 degrees, walks across rubble, climbs muddy hiking trails, walks in snow and water, and carries 400-pound loads. Boston Dynamics continues to use the Spanco Freestanding Workstation Bridge Crane for all of their robotic testing and quality control initiatives. In 2012, they began to further develop the BigDog robot and refine its key capabilities. They needed to ensure its ability to meet the needs of dismounted warfighters before it was rolled out to squads operating under dangerous circumstances. They also needed to demonstrate its ability to complete a 20-mile run within 24 hours, while carrying a load of 400 pounds. That year, they furthered its abilities by adding an extra arm that can lift and throw heavy objects. Their newly refined system endured continued testing and development with the help of their fully customized Freestanding Workstation Bridge Crane from Spanco. Click here to read the full case study.